That's Mo's Challenge for this week! The "C" can stand for anything you like. Just make a card or project using one of Mo's wonderful images and make sure it includes something that starts with 'C"! I've used Mo's sweet "New Baby" on my card. It's also available with just the little girl peeking into the bassinet. There are actually three things that qualify this card for the challenge....the children, the carnations, and their curiosity about the new baby! Here's another "C" for you! This cow is wonderful! I love the bored look on her face! The inside says, "That's 'udderly' untrue! Happy Birthday!" what you'll come up with using the letter "C"! 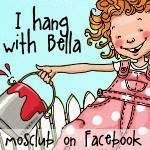 $5.00 gift certificate to Mo's store! Too cute and fine your first card and really funny the second! Well done :) hugs, Franz. The baby card is lovely Elaine. The pearls threaded through the die cut are so pretty. 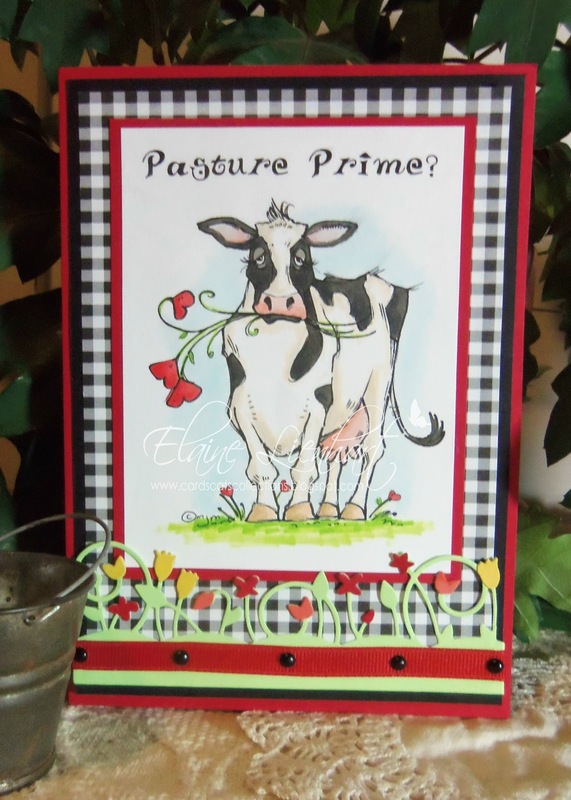 The sentiment on the cow card is hilarious. :-) Hugs! Elaine this is so beautiful, always loved this image of the children peeking into the bassinet. This is so pretty. I love how you did the pearls as well. Fantastic cards, Elaine! Your coloring is absolutely magnificient.